Researchers have found a way to reduce the severity of multiple sclerosis (MS) attacks by using human stem cells, offering hope to MS sufferers. How does MS affect our bodies? MS tricks our immune system into destroying the protective layer (called myelin sheaths) around nerves. As damaged nerves can’t properly transmit signals, people gradually lose the ability to walk and even develop problems with their vision or thinking. The disease can worsen in attacks followed by the partial repair of myelin, but in some patients the degradation is constant. And what about in humans? A Phase I clinical trial in the US of another stem cell therapy involving human patients with a rarer type of MS reported a reversal of disability; one patient started walking without her cane and another abandoned their scooter. Just Phase I? In Canada, a Phase II trial involved risky chemotherapy wiping out and ‘rebooting’ patients’ immune systems by implanting stem cells, which stopped the progress of MS in two thirds of participants. Although there is no cure yet, stem cell research is a bright hope for improving the quality of life of MS patients. Until recently scientists have been unable to physically see where MS harms the nervous system as MRI scans can't distinguish inflammation from myelin sheath damage. However, scientists realised that damaged sheaths expose cell membranes containing potassium. Tracking potassium makes it possible to identify damaged areas and develop targeted therapies in the future. Psst, Kaveh distilled 8 research papers to save you 454.2 minutes. 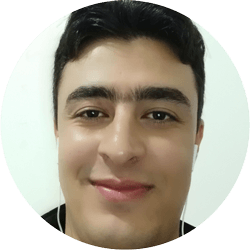 Kaveh is a PhD Student at the Florey Institute of Neuroscience and Mental Health studying the role of neural stem cells in remyelination process.